Hillary Clinton's Plan for Free College: Will You Still Need to Save? 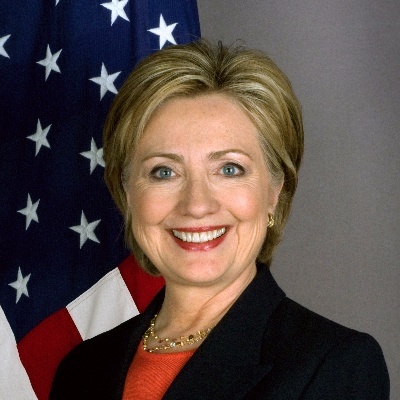 Democratic Presidential Candidate Hillary Clinton recently introduced a dramatic, expanded proposal to her original "College Compact," which would make college more affordable and outstanding debt more manageable. But taking politics out of the equation: How realistic are the proposals? Do they go too far, or not far enough? Is college on a path to joining K-12 as standard public education? There are two parts to the Clinton "debt-free future for America" proposal. Make in-state college less expensive by providing grants to states that commit to meeting its requirements. Students would still be required to contribute by working at least 10 hours per week. Make the FAFSA much simpler, though details as to how are vague. Cap student loan repayment at 10% of income and forgive debt after 20 years. Provide favorable refinancing options for graduates to take advantage of lower rates, if available. Give additional funding to schools that reduce costs, serve a minority or low-income base, or provide services to improve graduation rates. Free tuition to in-state public colleges and universities for families with income up to $125,000. This benefit would be phased in over four years, starting at $85,000 in year one, with qualifying income levels increasing by $10,000 until it reached the cap if $125,000. An immediate three-month moratorium on student loan payments to all federal loan borrowers, meaning debtors would have three months to consolidate or explore other repayment options before their first payment is due. Expanded and protected Pell Grant funding, allowing students access to grant funds year-round. 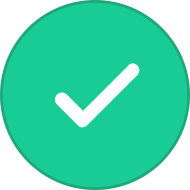 A payroll deduction portal for employers that would allow employees to set up automated student loan payments. Nearly every American would be impacted in some way. Approximately 78% of the US has a household income of less than $125,000. There are about 30.9 million American households with children under 18 that fall into this category. These households would pay zero tuition to in-state public colleges and universities in states that elected to participate in Clinton's proposal. Households earning more than $125,000 would be inversely impacted by not having access to this benefit, as well as the increased taxes – due to discontinued tax deductions – used to fund the initiative. Every debtor with student loans – regardless of their income level – would benefit from the three-month moratorium on payment, and potentially benefit from promised loan forgiveness and refinancing if qualified. Lenders and holders of securitized student debt – i.e. the banks and federal government – would face deferred repayment and potentially take losses on certain debt instruments. Students eligible for Federal Pell Grants, awarded to undergraduate students depending on financial need and cost of attendance, would be able to receive benefits year-round, meaning they could potentially complete their undergraduate track sooner. There is also mention of employer incentives to help with repayment. Details are scarce, but at a minimum the proposal would promote automatic payroll deduction to help pay down an employee's student debt. How realistic are these proposals? It has been widely reported from political pundits that this was a strategic concession to Bernie Sanders to win his endorsement by adding some of his proposed concepts to Clinton's own proposals. Sanders proposals have been widely criticized as unrealistic by media outlets such as NPR and the Tax Policy Center. So how likely are they to be enacted at all if Clinton were to take office? The College Compact alone was originally projected to cost $350 billion over 10 years. The expanded proposal does not have an associated cost projection, but is similar in scope to Bernie Sanders' own proposals, which were projected to cost around $75 billion annually. Clinton would at least partially offset the expanded cost by eliminating tax deductions to the wealthy, but details on which deductions would be eliminated are vague. The other portion of the cost offset would come from state participation, which is not guaranteed. State participation would require the states to step up their own spending to receive the proposed federal funding. State spending on higher education has been in decline in recent years, and it may prove difficult to get many states to participate. Just days ago Massachusetts state schools announced that they might raise tuition by as much as 7.8% due to a lack of funding. And while some states may decline for fiscal reasons, others may do so for political reasons as with Medicaid and The Affordable Care Act. Because funding relies on state participation, implementation may be uneven. Clinton would be able to take executive action on limited elements of the proposal immediately upon taking office, allowing a three-month moratorium on loan repayment. However, most of the proposals require congressional action, which is unlikely to move in a timely manner (if at all) with a Republican-controlled Congress. Clinton's proposal would make college vastly more affordable for families in lower- and middle-income tax brackets. However, while tuition would be covered, fees, room & board, computers and related equipment – all qualified expenses for purposes of Coverdell ESAs and 529 plans - would not. Transportation, sports fees, and similar non-qualified expenses would also not be covered. 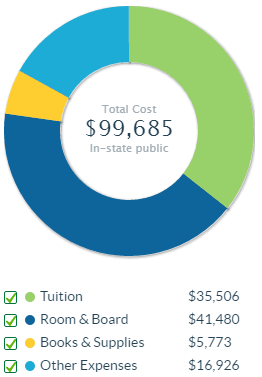 Tuition accounts for only about 35% of total college costs. Even with free tuition, the remaining 65% is a sizable sum. According to Savingforcollege.com's College Savings Planner, students entering college in 2016-17 could reasonably expect to shoulder $65,000 in expenses outside tuition over the course of their college enrollment. As a result, there will continue to be a pressing need to save for college costs even for those families that would qualify for free tuition. It is worth noting here that even if you qualify for free tuition, you can still pay for the bulk of the remaining expenses by saving in a Roth IRA, Coverdell ESA, 529 savings plan or combination of the three to meet the shortfall. For those in upper tax brackets, tax-deferred and tax-free savings vehicles become even more critical tools to finance college education. This is because Clinton plans to fund the proposal by "by closing tax loopholes and expenditures for the most fortunate." This will make tax-preferred savings vehicles even more attractive. Student debt has already spiraled out of control. Estimates currently lie between $1.3 and $1.4T - as in trillion - outstanding. 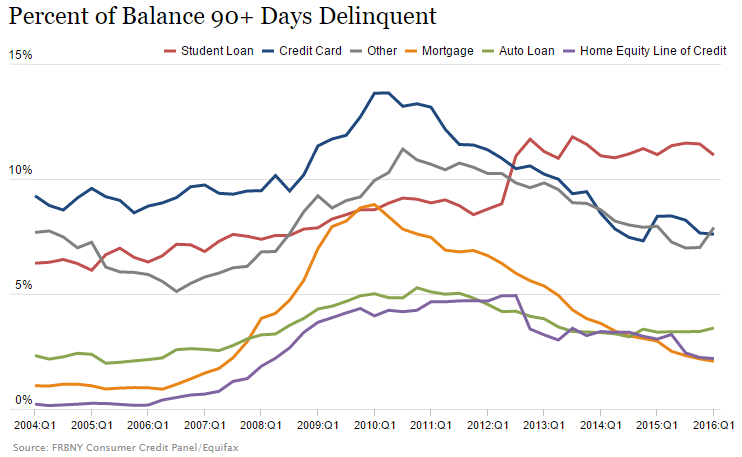 This is well-documented, as student debt composes the largest percentage of household debt after mortgage balances. Over 70% of college graduates have outstanding loans, averaging $37,000 per graduate. Approximately 43% of Americans with federal student loans are estimated to be behind on their federal student loan payments. The New York Fed estimates that about 11% of federal student loan debt is "severely derogatory," defined as delinquent for at least 90 days. These proposals would provide significant debt relief to people struggling with or defaulting on their payments. Further, more students will be able to afford college. Plain and simple, the proposals shift much of the cost from individuals to the broader taxpayer base. Regardless of personal feelings on the issue, these proposals would eliminate tuition costs for the 80% of qualifying Americans. This would, in turn, result in a better-educated population overall. There are broad social and economic benefits to improving the education of the wider population. When public education became widely available in the late 1800's, it meant increased literacy rates and dramatic improvements in technology and innovation that improved lives worldwide. The benefits of free K-12 education and beyond are well-documented (Source). While the cost may seem onerous, it is one that pays dividends in generations to come. There are a lot of details left out as to how the proposals will actually deliver on their promises. For example, the College Compact states that "Delinquent borrowers will receive additional help to enroll in income-based repayment to protect their credit, and borrowers in default will be given new rehabilitation and repayment options to help them get back on their feet." However, it does not state what form that "additional help" would take, nor what "new rehabilitation and repayment options," would be, or who would be offering them. Mentioned earlier, while the proposals promise to simplify the FAFSA and fund via the elimination of tax deductions to the wealthy, how this will be accomplished is not detailed. Those that have the hardest time paying down student loans may not benefit. Much of the proposal relies on the borrower finishing school and holding a job. However, those with the most difficulty paying may have less debt, but may also have been unable to finish school for any number of reasons. The borrower then has more difficulty obtaining a job that sufficiently compensates them to offset the cost of the loan, and a debt spiral ensues. In its current form, the proposals indirectly punish those that achieve financially. If you are part of the one-in-five Americans that earn over $125k in annual household income, you are penalized twice. First, your children will not qualify for free tuition at in-state colleges and universities because you earn too much. Second, you will actually be taxed more as wealthy Americans lose tax deductions sacrificed to offset the costs of the proposal. The quality of public colleges and universities may be reduced by increased demand. State colleges have fixed space, so when tuition becomes free to those institutions, demand rises. Larger class sizes and federal and state funding may inevitably lead to tighter school budgets, making it more difficult to attract and retain the best professors and resources. Debtors should not rely on debt forgiveness to finance their higher education. Advertising loan forgiveness as a cornerstone of the College Compact may mislead some student debt holders into thinking that if they wait long enough they can get out of debt without consequence. There would need to be a strong educational component alongside any implementation of Clinton's proposals so that debt holders know that there are significant drawbacks to ignoring debt. Provide further motivation for Americans to save for college proactively. Additional incentives, such as those introduced in the recent Boost Saving for College Act, would go a long way towards improving existing college savings vehicles. Allow assets in specialized savings vehicles, such as IRAs and 529 plans, to be withdrawn penalty-free to pay student loans for the account owner or immediate family members. Address deeper-rooted issues, including lax lending standards that resemble those that led to the 2008 sub-prime mortgage crisis. Lending standards should be further restricted to ensure borrowers understand the terms of their loans and that they will be capable of paying it back. A family planning to save for a four-year public college in 18 years needs to set aside approximately $107,000. If that family doesn't save and instead covers the cost with loans, they will end up spending $285,000, a difference of $178,000! 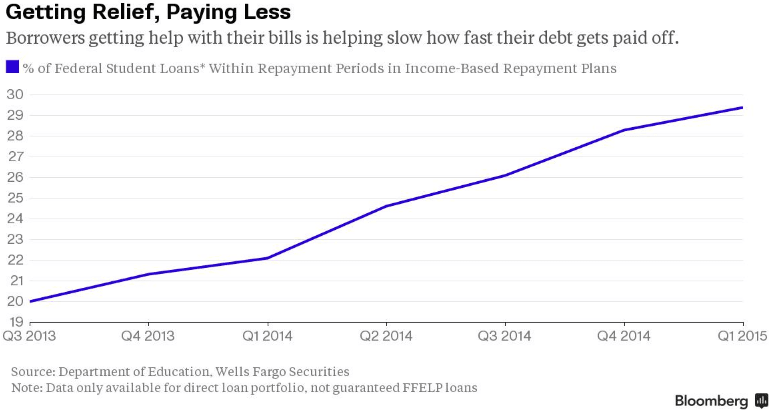 This is why college savings is preferable to borrowing for financing college. The best way to manage debt is to never incur it in the first place.